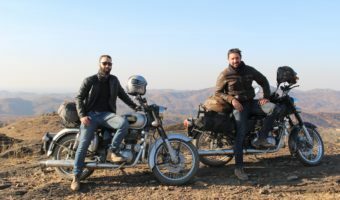 The first and only Royal Enfield motorcycle tours in Mongolia! 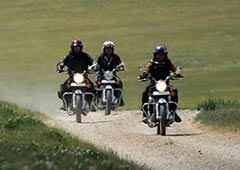 Today, Vintage Ride is the only Tour Operator to offer Royal Enfield motorcycle tours in Mongolia. From our office in Oulan-Bator, the effervescent capital city of Mongolia, we take you on a tour through the breathtaking and ever-changing landscapes of the Mongolian steppes! Adventure bike tour across Mongolian steppes Any biker looking for an adventure trip in the midst of lush nature will feel at home here: from the arid plains to the national park of Hustai across the hot water springs of Tsenker, the volcanic mountains of Khangai, the dunes of Khogno Khan and the white lake of TerkhiinTsagaan, you’ll probably ask yourself why you didn’t travel here before! 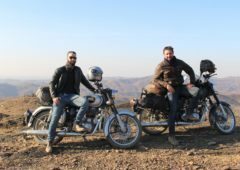 Mongolian motorcycle tours with Vintage Rides Royal Enfield motorcycle touring Sylvain Tesson, the famous travel-writer from the French magazine « Le Figaro », along with photograph Thomas Goisque, came to explore this new adventure tour of ours. Guided by Alexandre Zurcher, the three of them rode their Royal Enfields through the Mongolian steppes for more than 1000 km – an adventure worth to be on your bucket list too! 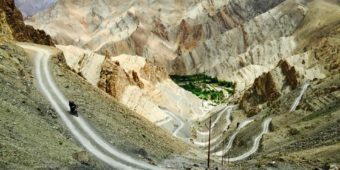 Adventure tours in MongoliaThey headed west for a loop that took them through diverse landscapes on small trails and beautiful asphalt roads. 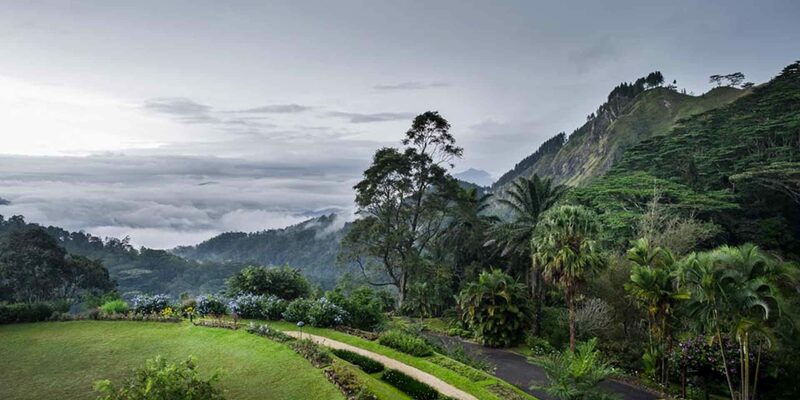 Sometimes flat, sometimes hilly, along forests and volcanic regions, our guests couldn’t resist the charm of Ogii’s altitude lake, Orkhon’s waterfalls or Tsenker’s hot springs, to name a few. Guided motorcycle tours in MongoliaThe accommodation in yurts allows the bikers to spend some time with the welcoming nomads that inhabit the yurts one finds all along the way during a motorcycle tour in Mongolia. To get a better insight in the life of the Mongolian nomads, you can even spend a day horseriding in the steppes with them – isn’t that more than exciting? 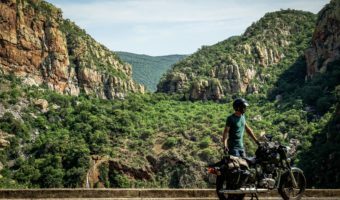 Royal Enfield motorcycle touring across MongoliaBut as this is one of those situations where words are simply not enough, check out our brand new trailer about Mongolia and see it with your own eyes! 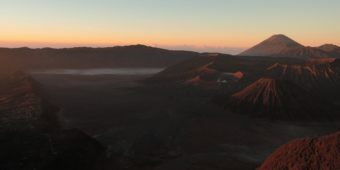 Check out all picures from photograph Thomas Goisque during his mongolian motorcycle tour here. 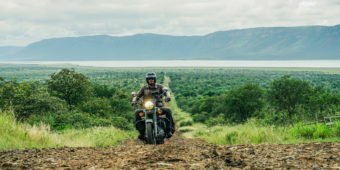 To have a Mongolian adventure of your own, explore our brand new motorcycle tours in Mongolia “Along the trails of Genghis Khan” and “Wild spirit of Steppes“ or contact you travel advisor here. And see you in Mongolia!.. 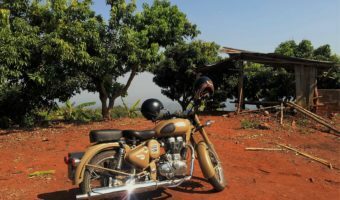 Ben and Baptiste from the Vintage Rides team set off to celebrate New Year's in Rajasthan. Our two helmeted adventurers veered off the beaten tourist tracks to explore the charming, unspoilt countryside. Here's a look back at their journey through the Land of the Maharajas. 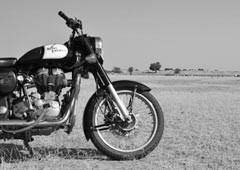 Vintage Rides>The blog>Other>The first and only Royal Enfield motorcycle tours in Mongolia!